I workout and engage in combat sports. I hurt. ALL THE FREAKING TIME. TI band, lower back, neck, shoulders, hams, calves…you name it. I have an inversion table (which helps,) a squat rack/pullup-station I hang from (which helps) and an awesome chiropractor. However, this simple variation on the foam roller concept is the single best $40 investment I have ever made. Hands-freaking-down. 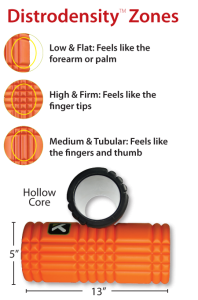 It’s called “The Grid.” It’s a piece of 5″ hard plastic surrounded by a compressible foam roller material with variable patterns of bumps called zones. 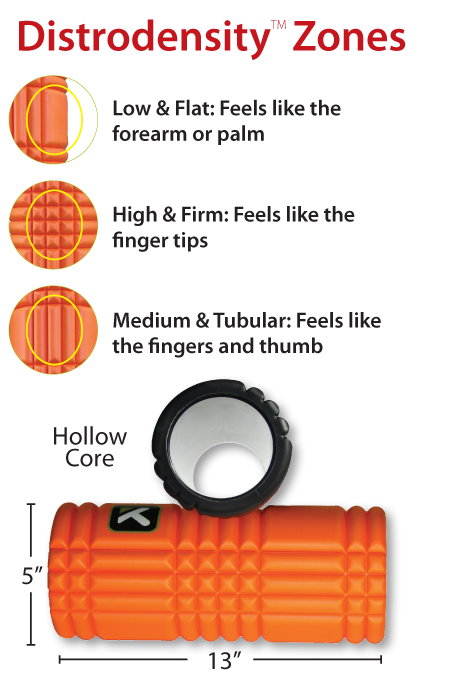 It doesn’t collapse or “smoosh” when you use it like a traditional foam roller and the different patterns/zones really work various areas of the body differently. It gets all the knots, pains, kinks and tightness out. It’s freaking brilliant. I pair it with hanging stretches from the squat rack, inversion on the table and the odd (and decreasing) visit to the chiropractor. Can’t say enough about it. Their “workouts” are bloody murder but really, really work to help get rid of scar tissue and massage those sore muscles/connective tissue. I plan on trying their TP Massage Ball, Footballer, and Quadballer, too. You should buy a RumbleRoller and do a comparison. It gets deeper into the muscle, and might be even better for your style of training. CR: I know the inventor. © 2010 BeakerBuys. All Rights Reserved. Greyzed Theme created by The Forge Web Creations. Powered by WordPress.